Jaren and I will be competing in the Utah Summer Games Triathlon in June and would like all of you to come see us compete in St. George! It is the weekend of June 16th. I will submit more details as I get them. We want to see all of you competing next year! I can finally fulfill my dreams of becoming a Storm Trooper! 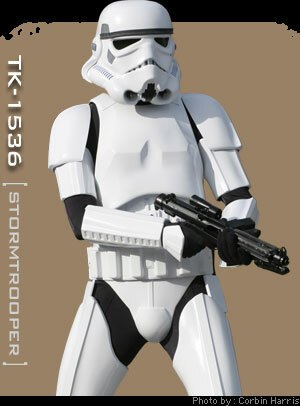 There is an actual garrison of troopers, and other Star Wars characters called the 501st Legion. They are the troops that marched in this years Rose Parade with George Lucas. Anybody can join the ranks, you can even choose your character, you just have to own a professional grade uniform and a desire to “live” the world of Star Wars. My prayers have been answered! I have finished and installed the cabinet project I was working on when I cut my hand while using the router table. 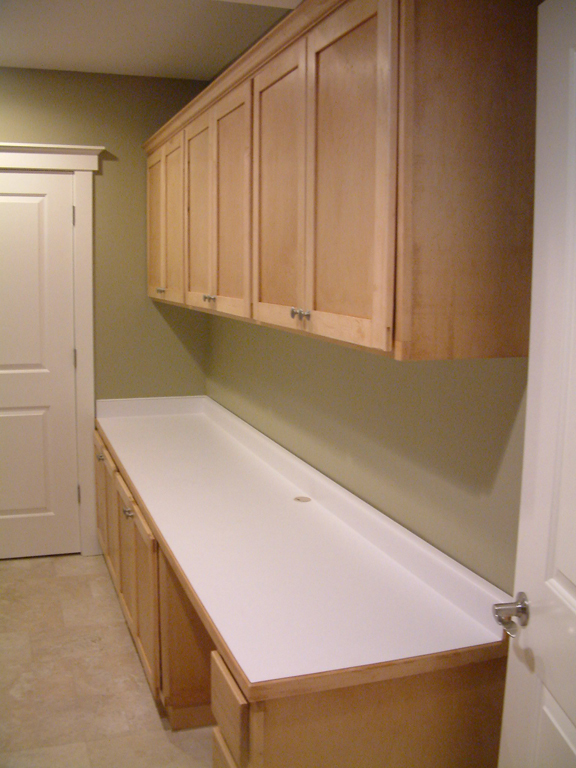 They are maple cabinets with a white formica counter top and a maple edge. The cabinets were built for and installed in a utility/mud room to provide additional storage and a work space for a sewing machine.